Photo booths have enjoyed a recent resurgence in popularity, making appearances at weddings, proms, bars and parties. Even more popular is the ever-present cell phone camera documenting every moment of a fun time. The Instaprint is a product that combines the best qualities of both, giving revelers a quick and easy way to print instant hard copies of party pics. Instaprint is considerably easier than taking your phone home and printing out all of your photos on a photo printer – plus it offers instant gratification. 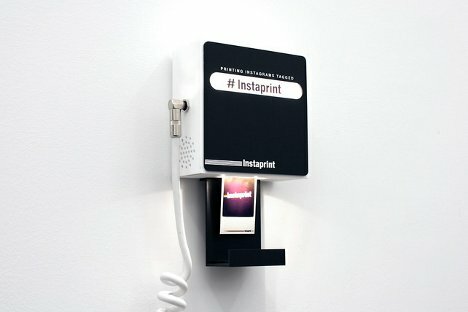 The wall-hanging gadget (which looks a bit like a paper towel dispenser) is paired wirelessly with your phone and programmed to look out for event-specific hashtags. When you snap photos and tag them appropriately, the Instaprint spits out hard copies of those pics. One of the most interesting aspects of this Kickstarter project is the paper on which the pictures are printed. 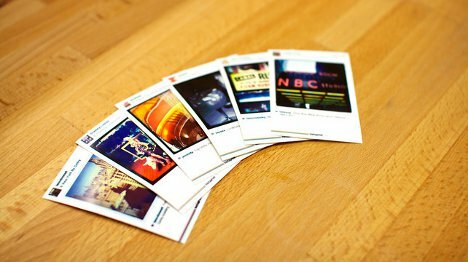 Rather than using expensive and quickly-exhausted ink cartridges, the Instaprint uses special inkless paper. The colors for the pictures are pulled directly from the paper itself, making the printing process somewhat cheaper and less wasteful than it would be with ink cartridges and photo paper. See more in Camera & Video or under Gadgets. April, 2012.